The future of discovery is emerging from the intersections of scientific disciplines. In support of our mission, CNSI participates in numerous research, educational, and entrepreneurial initiatives. Through the cultivation of our relationships in the scientific community and industry, our collaborations seek to expand the transformative applications of nanoscience. 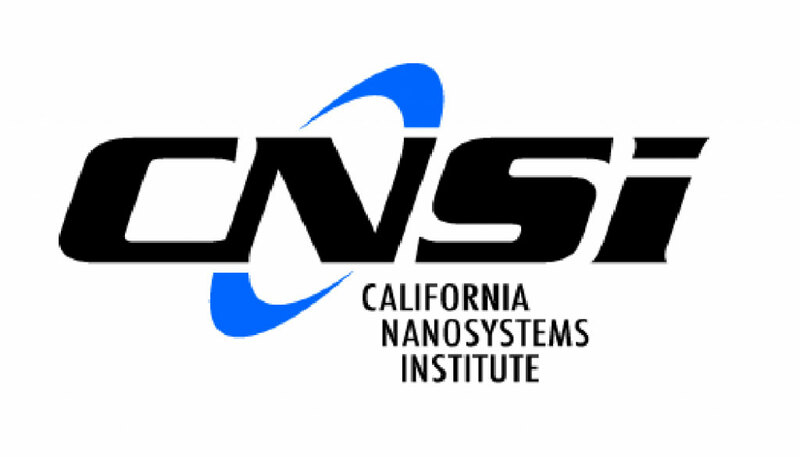 The California NanoSystems at UC Santa Barbara is an integrated research facility that encourages university collaboration with industry and enables the rapid commercialization of discoveries in nanoscience and nanotechnology. The CNSI at UCSB focuses on three targeted areas of nanosystems-related research: Biotechnology, Energy Efficiency, and Information Technology. The University of California Center for Environmental Implications of Nanotechnology (UC CEIN) leverages research, knowledge acquisition, education, and outreach to ensure responsible use and safe implementation of nanotechnology in the environment. The Center receives significant funding from the National Science Foundation. The Jonsson Comprehensive Cancer Center (JCCC) has a membership of more than 450 physicians and scientists, making it one of the largest comprehensive cancer centers in the nation. The JCCC handles more than 20,000 patient visits per year and conducts hundreds of clinical trials, providing the latest in experimental cancer treatments. The UCLA Microbiome Center brings together UCLA investigators across departments and schools interested in microbiota. Its wide spectrum of expertise ranges from oral biology, mucosal inflammation, metabolism, skin, and brain-gut interactions. The Eli and Edythe Broad Center of Regenerative Medicine and Stem Cell Research supports innovation, excellence, and the highest ethical standards focused on taking groundbreaking stem cell research discoveries from the laboratory to the patient. Committed to integrated collaboration of scientific, academic, and medical disciplines the Center seeks to revolutionize the treatment of disease through personalized cellular therapies and regenerative medicine. The UCLA Henry Samueli School of Engineering and Applied Science is recognized around the world as a leader in engineering education, research, and service. The School rigorously trains engineers and solves challenges in energy, sustainability, healthcare, communications, transportation, infrastructure and information technology. CNSI regularly partners with Center X in the UCLA Graduate School of Education to provide cutting-edge nanoscience teacher training for K-12 educators throughout Southern California. UCLA Art | Sci Center is dedicated to pursuing and promoting the evolving “Third Culture” by facilitating the infinite potential of collaborations between (media) arts and (bio/nano) sciences. In cooperation with CNSI, the UCLA School of the Arts, and the Department of Design | Media Arts, the Center presents lectures, mixers, and symposia to bring artists and scientists together in order to mesh their cultures and interests. ACS Nano is an international forum for the communication of comprehensive articles on nanoscience and nanotechnology research at the interfaces of chemistry, biology, materials science, physics, and engineering. Moreover, the journal helps facilitate communication among scientists from these communities in developing new research opportunities, advancing the field through new discoveries, and reaching out to scientists at all levels. CNSI regularly partners with the UCLA Career Center to both host and develop professional development events for UCLA students. The Science & Entertainment Exchange of the National Academy of Sciences connects entertainment industry professionals with top scientists and engineers to create synergy from accurate science and engaging storylines in film and TV programming. From quick fact checks to special briefings, The Exchange provides easy access to experts from all scientific disciplines. The Harold and Pauline Price Center for Entrepreneurship and Innovation is a recognized leader in entrepreneurial education and research at the UCLA Anderson School of Management. The Price Center fosters the study and practice of entrepreneurship and business innovation by providing the foundation on which creativity can flourish and individuals can succeed. The Business of Science Center is a diverse group of students and professionals committed to developing university discoveries into problem-solving commercial products. Students looking for an introduction to business, faculty inventors searching for industry partners, or industry professionals looking for “the next big thing” can make connections at the BSC. The UCLA Clinical and Translational Science Institute (CTSI) is a research partnership of UCLA, Cedars-Sinai Medical Center, Charles R. Drew University of Medicine and Science and the Los Angeles Biomedical Institute at Harbor UCLA Medical Center. Its mission is to bring biomedical innovations to bear on the greatest health needs of Los Angeles—the largest and one of the most ethnically, socially and economically diverse counties in the United States. Its vision is to catalyze research that translates discoveries into tangible improvements in health care, and disease prevention and treatment in Los Angeles County. The UCLA CTSI is one of more than 60 research “hubs” supported by the Clinical and Translational Sciences Award (CTSA) program of National Center for Advancing Translational Sciences (NCATS).